The Iron Springs area is a fragile environment. In June, it is alive with wildflowers, animals and recreational users enjoying a bike path. The new plan for the area will put in a four-lane highway, destroy wildlife and damage the springs — all for the sake of a faster route to Breckenridge. As a speaker for the voiceless members of our community, we are not in favor of this proposal. 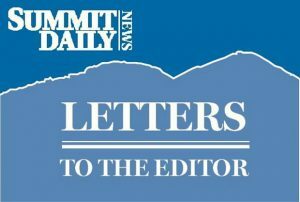 Leigh Girvin, of the Continental Divided Land Trust, said in a June 10 Summit Daily article that she sees the benefit to the community. Which community?